In September, several events in Washington, D.C. focused on the advancement of research in arts and aging. The field is ever-growing. 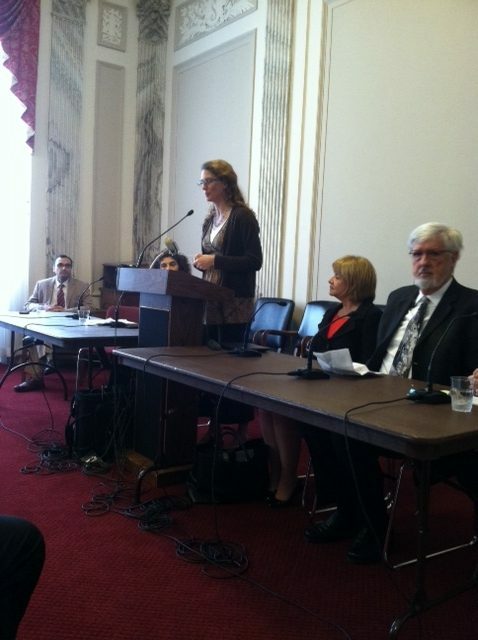 The National Academy of Sciences and a consortium composed of the Committee on National Statistics, the National Endowment for the Arts and the National Institutes of Health hosted a workshop entitled “Workshop on Research Gaps and Opportunities for Exploring the Relationship between the Arts and Health and Well-Being in Older Adults“. The purpose was to identify research gaps and opportunities for exploring the relationships of arts participation and creativity to physical health and psychological well-being in older adults. It provided a critique of the field, including challenges in undertaking research capacity-building; and offered guidance for the design of future studies and research funding opportunities. The following week, Congressman Edward Markey of Massachusetts and Senator Tom Udall of New Mexico hosted “Dementia Arts on Capitol Hill”, a briefing on the use of arts in the treatment of Alzheimer’s disease and related dementia. 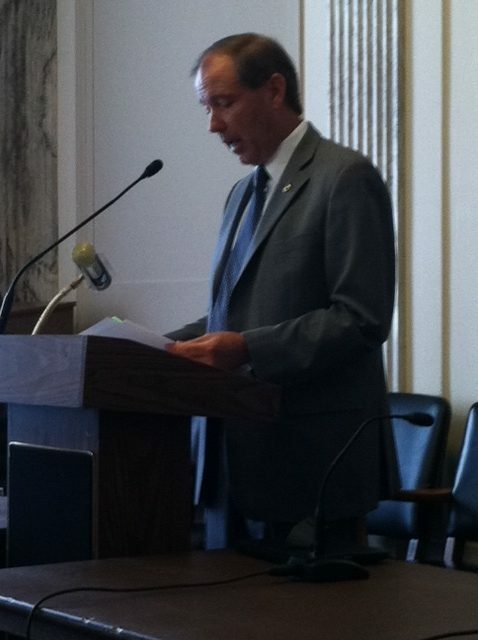 SENATOR TOM UDALL OPENS THE SESSION. Panelists included: Dr. Anne Basting, Executive Director, Center on Age & Community and founder, Timeslips: Maria Genne, founder, Kairos Dance; Margery Pabst, Executive Director, Pabst Charitable Foundation for the Arts and author of Enrich Your Caregiving Journey; Dr. Richard Taylor, a leading advocate for people living with cognitive impairment and Dr. Linda Levine Madori, founder, Therapeutic Thematic Arts Programming for Older Adults – TTAP Method. My mind’s not at all a blank slate. Or the day of the week. 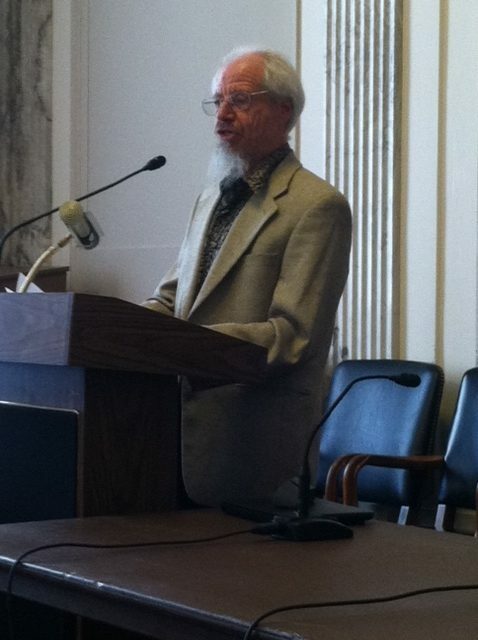 STUART HALL SHARED THREE OF HIS POEMS ON THE AGING MIND. We can’t wait to see what new research is inspired by these conversations. 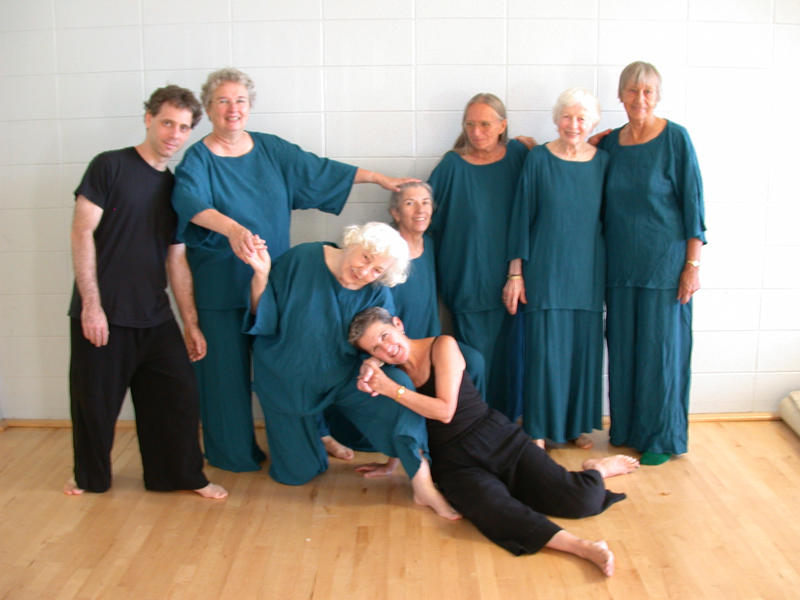 Nearly 20 years ago, AFTA Teaching Artist Nancy Havlik founded the senior improvisational dance group Quicksilver. We sat down with Nancy to discuss the secret to their success. How was Quicksilver founded, and what was your original mission for the group? 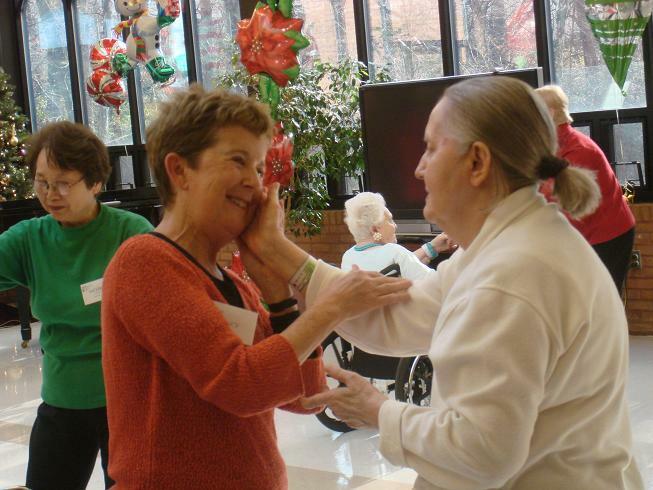 I was very curious about starting an improvisation-based dance class for seniors. At that time Liz Lerman had disbanded her senior company “Dancers of the Third Age”. There were several excellent older adults from that company looking for a place to dance including current Quicksilver members Ruby Chapman and Marge Wydro, as well as Bubbles Blender and Bea Wattenberg. I proposed the idea to AFTA and the rest is history. How has the mission of Quicksilver changed over the years? We have increased our work with frail older adults and become more proficient in working with that population, incorporating new techniques like wheelchair duets. The work seemed to evolve naturally out of our strong commitment to interactive dance and music improvisation. When Teaching Artist Anthony Hyatt joined the group we suddenly had improvised live music, which made our classes much more lively and dynamic. Over the years our dancers have become stronger as performers, facilitators and improvisers. What makes Quicksilver’s outreach so effective? When Quicksilver delivers a program for frail and vulnerable older adults, there are more opportunities for one-on-one interaction. Quicksilver members add their own talents and skills to the mix so the whole class is elevated to a new level. Quicksilver members are closer in age to some of the participants which promotes empathy and understanding. Tell us about a recent Quicksilver success story. Quicksilver did a workshop at Friends Club, a Bethesda, MD day program for men in the early-to-mid stages of Alzheimer’s disease. Each dancer invited a participant to perform a duet, and the men jumped at the chance. Laughter and conversation ensued as the men spontaneously cut loose. How has Quicksilver enriched your life? Improvising together over time develops strong bonds and friendships; we have created a tight community. Many of us have had health problems. 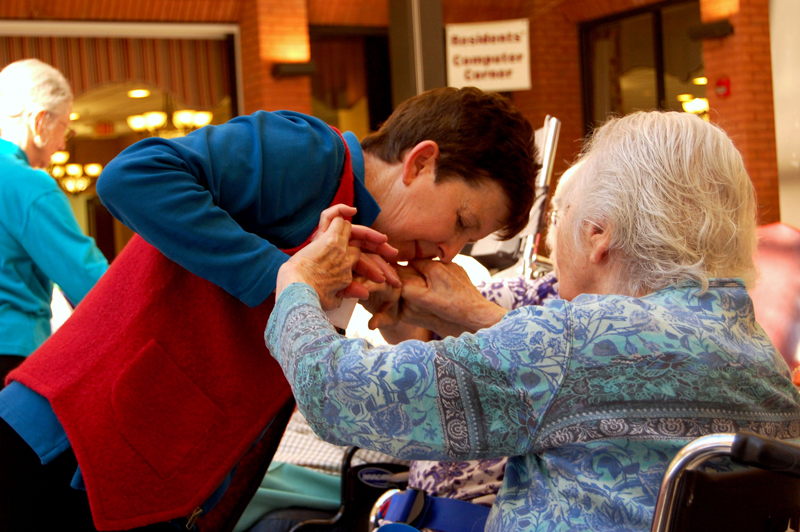 Our work with frail seniors takes us out of our own heads. Thinking about others helps the volunteer as much as the recipient! What questions do you have for Nancy? We’ll post her responses in the comments section. Inspired? Make a contribution today. Join our pioneering staff in a shared dynamic work environment at Non-Profit Village of Rockville, MD. AFTA is seeking a motivated, resourceful, decision-oriented individual for the part-time, permanent position of Administrator. This position is the first point of contact with all levels of our stakeholders, provides support to our small staff and AFTA’s activities and ensures efficiencies and quality control of our office systems. The hire date is September 10. TO APPLY: request a position description and application requirements via email only to officeadministrator@AFTAarts.org. No phone calls, please. What better way to begin rolling out Arts for the Aging’s 25th Anniversary next year than with our new look and announcement of an exciting new honor? NEW, is our vibrant logo (top left), most recently seen anchoring our website re-launch this past winter. It now is making its way into more print and online materials, and with color schemes meant to spark the spirit of joy, engagement and transformation older adults experience in our programs. Our looks aren’t just skin deep. 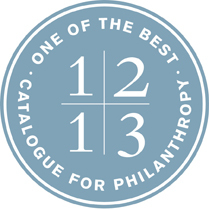 NOW, experts from area foundations, corporate giving programs and peer non-profit organizations agree, from a field of 220 competitors, AFTA is among 74 nonprofits selected by the Catalog for Philanthropy for Excellence, Cost-Effectiveness and Impact in the Greater Washington D.C. region. We will be featured in both their print and online Catalogue, which has enormous reach and potential.